(Z)-enediynes equipped with aliphatic n-membered ring undergo a thermal rearrangement known as the Bergman cyclization. The rearrangement of these molecules leads to formation of transition states and biradical intermediates. H-abstraction by the biradical intermediates occurred through external H-atom donor. The central point of this study was on the theoretical and computational studies of the pathways of the products and reactivity of reactants. The energy levels of the reactants, transition state forms, products, the free energies of reaction (∆rG and ∆G≠), the ∆EHOMO-LUMO, rate constant by using Eyring’ equation (k) and structural data were calculated by DFT-B3LYP/6-31G* method. The different aspects of the structural data and the relative energies (in kcal mol−1) of the transition states as well as the biradical intermediates (singlet (S) and triplet (T) in the cyclization reactions were investigated and discussed. The online version of this article ( https://doi.org/10.1007/s13738-019-01666-7) contains supplementary material, which is available to authorized users. 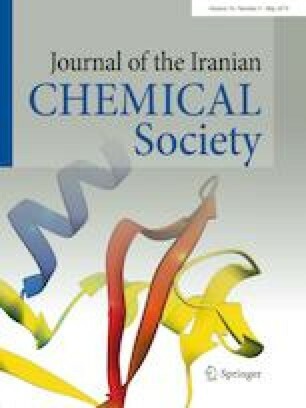 The authors gratefully acknowledge the Medical Biology Research Center, Kermanshah University of Medical Sciences, Kermanshah, Iran, and the Research and Computational Lab of Theoretical Chemistry and Nano Structures of Razi University Kermanshah, Iran, for supporting this study.